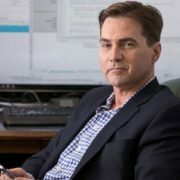 Dr. Craig Wright is an Australian computer scientist, businessman and inventor who challenges the world with visionary ideas. Currently, he is Chief Scientist for nChain – the global leader in research and development of blockchain technologies. Dr. Wright has been involved with Bitcoin and other cryptocurrencies since 2009, and is one of the earliest minds behind Bitcoin. His vision is a world with wide-scale adoption of both the Bitcoin cryptocurrency and the Bitcoin network as a transformative technology platform. Before his early and extensive work with Bitcoin, Dr. Wright had over 20 years of experience in the fields of information technology and security, and is one of the most highly qualified digital forensics practitioners in the world. He has personally conducted in excess of 1,200 IT security related engagements for more than 120 Australian and international organisations in the provate and government sectors. Dr. Wright has held senior executive positions with companies focused on cryptocurrency and smart contracts, digital forensics and IT security. Among his positions, he was vice-president of CSCSS (Centre for Strategic Cyberspace and Security Science www.cscss.org) with a focus on collaborating government bodies in securing cyber systems. Dr. Wright also worked on systems that protected the Australian Stock Exchange, and has trained Australian government and corporate departments in SCADA Security, Cyber Warfare and Cyber Defence. In addition to his general security work, one of Dr. Wright’s early sector focuses was the online gaming industry – where he helped design the architecture for the world’s first online casino (Lasseters Online Casino in Australia) and advised Centrebet on security and control systems. A prolific researcher, Dr. Wright has been a lecturer and researcher in computer science at Charles Sturt University. He has also authored many articles, academic papers and books on IT, security, bitcoin and other cryptocurrency issues. Dr. Wright is now a sought-after public speaker internationally on security, Bitcoin and cryptocurrency topics, while also presenting his research findings at academic and business conferences. Dr. Wright holds the following industry certifications, GSE CISSP, CISA, CISM, CCS, GCFA, GLEG, GREM and GSPA. He has numerous advanced academic degrees in diverse fields, including Doctoral degrees in Computer Science and Theology, a Master’s degree in Statistics, and a Master’s degree in Law specialising in International Commercial Law. The Bitcoin Core development team’s proposed scaling solution which would separate signature data (witnesses) from transaction data.